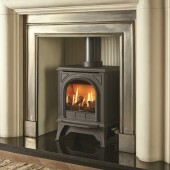 Freestanding Gas Stoves For Conventional Chimneys. Gas Stoves For Chimneys There are 33 products. 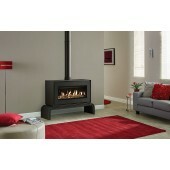 Gazco Stockton 5, High Efficiency (73%) Glass Fronted Freestanding Gas Fire Stove. Gazco Studio 2 Freestanding, High Efficiency (78%) Freestanding Contemporary Gas Fire Stove. Nothing creates an inviting atmosphere like a Gazco Gas Stove. 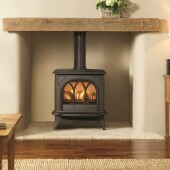 A stove adds warmth and character to a room or living space, and with some gas stoves you don’t even need a chimney. The Marlborough Gas stove has the flexibility to suit your lifestyle and your décor. Whether you choose country or city, traditional or contemporary. 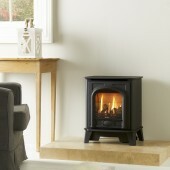 Gas Stove Yeoman CL3 Conventional Flue Chimney High Efficiency (78%) Freestanding Gas Fire Stove. 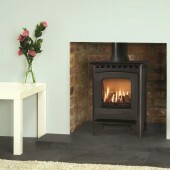 Gas Stove Dovre 280 Small, High Efficiency (78%) Glass Fronted Freestanding Black Cast Gas Fire Stove. 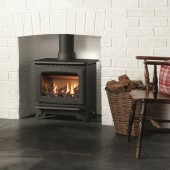 Gas Stove Dovre 280 Small, High Efficiency (78%) Glass Fronted Freestanding Enamel Gas Fire Stove.